We know window shade shopping can get overwhelming with window shade terminology. In turn, we’ve put together “The Redi Shade Dictionary”. This tool can help you better understand the features and variations offered in our products. Keep reading for definitions and examples! Simple Fit: An installation method. Simple Fit allows you to install your shade in seconds with the push of a button with included Command Strips from 3M. This installation method is available in Artisan Custom and Artisan Select Shades. Simple Stick: An installation method. Simple Stick allows you to install your shade in minutes by trimming your shade, peeling the adhesive liner, and sticking your shade in the window casing. 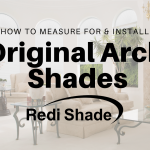 This installation method is available in Original, Original Arch, and Easy Lift shades. Pleated: A shade construction style that consists of one layer of material, pleated in a zig-zag pattern. Cellular: A shade construction style that consists of two layers of material, pleated and bound in a honeycomb pattern. This style not only provides privacy, but also an extra layer of temperature insulation to boost energy efficiency. Double Cell: A shade construction style that consists of two layers of fabric, pleated and bound in a double honeycomb pattern. This creates two layers of cells for maximum insulation and energy efficiency in a light filtering fabric. Light Control: The general reference to amount of light let in by a material. The five light controls offered in Redi Shade products are: glare reducing, light filtering, light blocking, room darkening, and blackout. Glare Reducing: Allows the free flow of light but blocks glare on walls, floors, and digital screens. Ideal for social spaces like living rooms, dining rooms, offices and kitchens. Light Filtering: Diffuses natural light while maintaining moderate privacy. This is the perfect multi-purpose light control for any room in a home. Light Blocking: Blocks light, reduces temperature exchange and provides enhanced privacy. The fabric has an exclusive composite fabric that features a heat reflective layer. 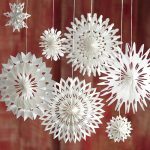 This is ideal for sun-facing rooms that tend to fluctuate in temperature or those that are not shaded by trees and structures. Room Darkening: Blocks a majority of light and creates significant privacy. This material works well in bedrooms. Blackout: Blocks 99% of light and creates maximum privacy. This material is perfect for bedrooms, media rooms, and anywhere you’d like to create a tranquil, restorative space. Solar Shade: A shade made from an exclusive light blocking composite material that allows you to save on energy costs while keeping your daytime view and privacy. This fabric is categorized as “Glare Reducing”. Cordless: Shades that do not operate with hanging cords. This includes completely cord-free shades like our Original shades (which operate with included clips) and shades with no external cords like our Easy Lift, Artisan Select, and Artisan Custom shades. Best for Kids Certified: A certification program that sets forth industry standards for window shade manufacturers to ensure products are safe for families with children. All Redi Shade products meet this criteria. Read more on WCMA’s Best for Kids Certified website. R-Value: The measure of the insulating power of cellular shades that help keep rooms warmer in the winter, cooler in the summer, and saves in energy costs. UV Protection: The measure of a shade’s effectiveness when blocking ultraviolet (UV) rays. Exposure to UV rays can damage furnishings, wood floors, draperies, carpeting and artwork. Energy Efficiency: In terms of window shades, covering your windows reduces temperature exchange and conserves energy. All light controls will contribute to energy efficiency and the higher the R-value and UV protection, the more energy efficient the window covering will be. Inside Mount and Outside Mount: The two methods of installing a shade. An inside mount is when the shade is installed inside the window casing for a clean look. An outside mount is when the shade is mounted outside the window casing (usually directly above the casing) and can be used as an alternative for those who do not have sufficient mount depth for an inside mount. Mount Depth: The depth measurement at the inner top of the window casing where an inside mount shade is installed. Standard Lift: A lift type that allows you to adjust the privacy and light control by raising and lowering the bottom rail of the shade. Top Down Bottom Up: A lift type that has a floating middle and bottom rail which allows you to open from the top or bottom of the shade, increasing street-level privacy while allowing for plenty of natural light. Day/Night: A lift type with a floating middle rail between a Glare Reducing or Light Filtering fabric and a Room Darkening fabric to allow for flexibility in light control.